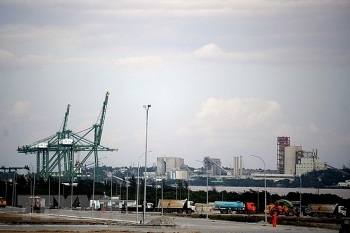 The Cuban government has granted first administrative concession in the Mariel Special Economic Development Zone to the ViMariel S.A company, a subsidiary of the Vietnamese corporation Viglacera. 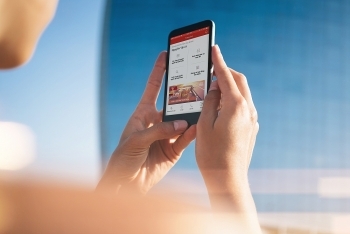 (VEN) - Generali Vietnam Life Insurance Limited Liability (Generali Vietnam) has just introduced a revolution of customers’ experience in claim process by introducing GenClaims. With GenClaims, the customers don’t have to come to Generali customer service centers as well as don’t need to wait until Generali receives the original documents; all they need is 5-minute submitting claim requests, Generali will provide a response within 30 minutes and in most cases, the claim requests will be accepted and paid within 24 hours. 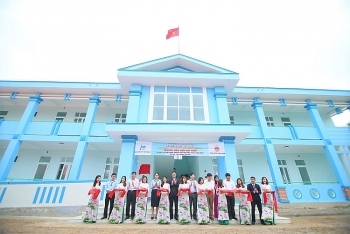 Chubb Life Insurance Vietnam Company Ltd. (Chubb Life) announced the opening of Duy Ninh Kindergarten at Duy Ninh commune, Quang Ninh district, Quang Binh province. 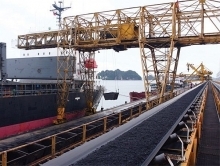 This is the company’s seventh school building project, and the second funded by the Chubb Charitable Foundation – International, which provided VND 2.5 billion (approximately US$112,500), representing about half of the total project cost. Chubb Life and the local community provided additional support. 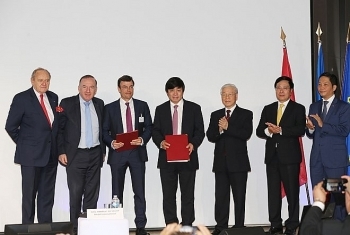 Vietjet Aviation Joint Stock Company and Safran Aircraft Engines on March 27 signed a Memorandum of Understanding (MoU) on comprehensive collaboration under the witness of General Secretary of the Communist Party of Vietnam Nguyen Phu Trong and French President Emmanuel Macron. 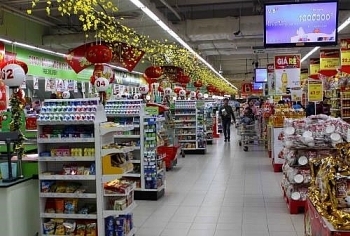 Thailand's Central Group is planning to spend 200 billion THB (around US$6.3 billion) on expanding domestic and overseas retail networks and hotels in the next five years, with Vietnam named as a prioritized market. 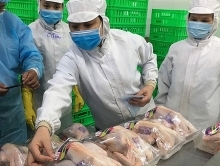 The Republic of Korea's distribution and food processing companies are shifting to Vietnam from China amid tougher business conditions and strained bilateral relations in the world's most populous market, the RoK’s Yonhap news agency reported. 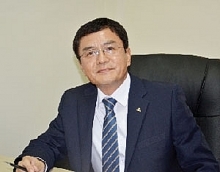 The Petrolimex Aviation Fuel JSC has been named among top Vietnamese brands as part of an award held by the Ministry of Industry and Trade in response to the “Vietnamese people prioritise Vietnamese goods” campaign. 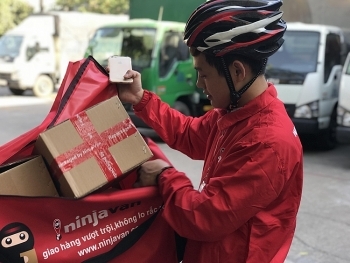 21 March, 2018, Ninja Van, Southeast Asia’s technology-enabled logistics company, has announced official launch of their operations in Vietnam. 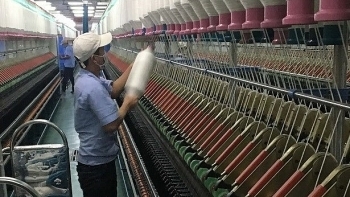 The number of well-performing businesses in the Mekong Delta increased with higher revenues and profits in 2017, according to a survey recently announced by the Can Tho city chapter of the Vietnam Chamber of Commerce and Industry. 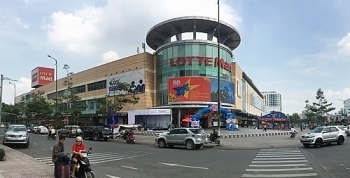 (VEN) - Under the auspices of the Italian Ministry of Economic Development, the Italian Trade Agency (ITA) has coordinated with the Italian Packaging Machinery Manufacturers’ Association (UCIMA) and the Italian Manufacturers’ Association of Machinery for the Graphic, Converting and Paper Industry (ACIMGA) to organize the Italian stall at the ProPak & Printech Vietnam 2018 taking place at the Saigon Exhibition and Convention Center (SECC) from March 20 to 22. 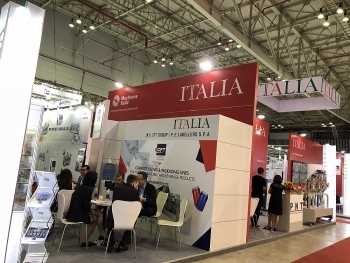 At this event, 24 Italian companies have introduced their latest processing and packaging solutions and technologies for use in the food, beverage and pharmaceutical industries.